Big Sis S: Did you know Jesus died and then came back again ? BSS: Did you know that was during Easter ? BSS: So is he around now or did he again go to heaven ? BSS: So what, he is an angel now ? BSS: How can Jesus be GOD, GOD is his father, remember Jesus is God's son. Now exasperated BSS: So what happened to GOD ? Did GOD become something else ? Or is GOD is no longer there ? Very very unsure Me: Maybe GOD retired. And with that said, lets have some Chettinad Fish Fry. I had never had Chettinad Fish Fry until a couple of months back. We had brought home, some steak pieces of sword fish and being new to sword fish, wasn't sure what to make of them. D suggested Chettinad Fish Fry which apparently he had at Legal Seafoods and had liked a lot. Of all the recipes on Chettinad Fish that turned up on Google, he said the dry one at Malar's Kitchen Tantra seemed closest to the fish fry he had tasted. I followed the recipe exactly and only skipped the tamarind paste because we are not too fond of that much sourness. I also did not add the eggs, all else was followed to the tee. 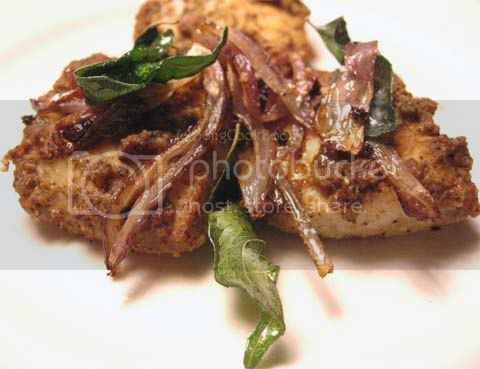 The fry turned out to be delicious and since then I have made the Chettinad Fish Fry with Sword Fish and also Tilapia. The pic here is the one with Tilapia fillet. Heat oil in a Frying Pan. I shallow fried the fish so not too much oil. Deep thoughts! I remember someone wished a friend's mom a 'happy Good Friday' and she said Son, it's not a happy day for us - and this used to be a source of much amusement for us. But of course, God got resurrected and it was a happy ending after all! LOL retired God - Mine would be: Got enough of Earth went to relax in Heaven! Chettinad fish, there is no parallel. Big talk Sandeepa, you better learn up your facts. chettinaad fish , mone hoye eyibaar bani a feli..
Sandeepa, your conversation with BSS had em in splits! I mean she is correct and has a valid point with each question she has asked you! I will use your answers when my daughters asks the same. PS - did you get my email (sent to desimomzclub id)? 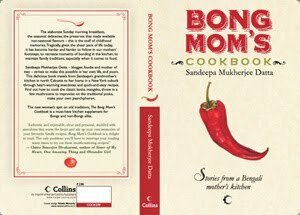 looks yummy and i love chettinad recipes.. Similar profound observations made by my 4 year old when she saw the crib displayed at the neighbourhood mall - "who is that baby?" So I launch into a gyaan session about Christmas and how its not only about Santa etc etc. At the end of which she asks "But where are his amma and appa and why have they left him in between those animals?!!" The masala looks great and I think I am going to use it to make grilled chicken this week. nice and easy - I will try this soon..
:D Made me LOL! Kids add so much joy to life! The fish fry makes me drool! I'm going to give it a try soon. I'm glad my baby doesn't talk yet, I need to brush up my facts soon!! Happy New Year! Sandy, its not fair you leave out that story at that!..it was getting interesting...remember I may have to get geared to answer my boys such questions..:)..hope all is well..
God did not retire and Jesus did not get tired of living on earth. He came here for a specific purpose. To be a sacrifice for man in order to save him from the punishment of committing sin, because sacrificing an animal cannot save man. There are many versus in the Bible which hint that God, Jesus and the Holy Spirit are one. Jesus is coming again to judge the world and take with him those who believe in him. So if you believe that he died for your sins and saved you, and live the way he desires you to live, you shall be saved. If you examine the normal Bible and history of present day Israel you will find it to be true.